Once you hire the Inflatable Slide, you won’t miss it at your event. 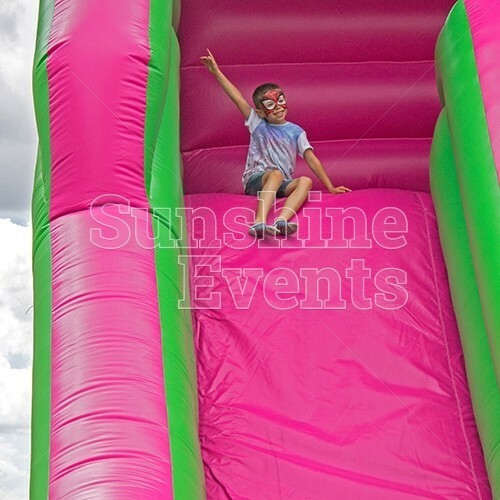 Standing at an immense 20 foot high and decorated in bright pink, green and purple, the mammoth slide draws the attention of everyone at the events it visits. 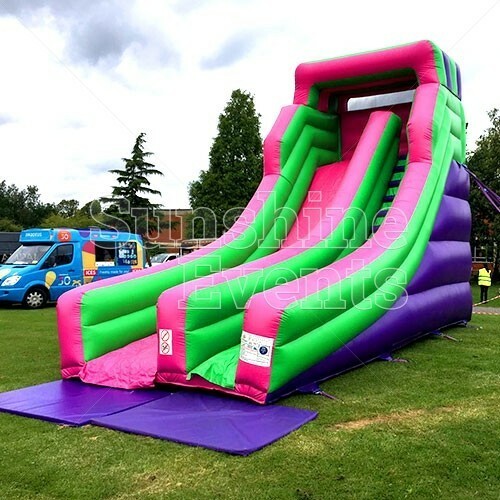 And with good reason too: it’s no just its size that makes the Inflatable Slide that makes it a popular attraction; it’s the hours of fun that can be had as you climb the mountain of steps to the top and make that journey down the slide! 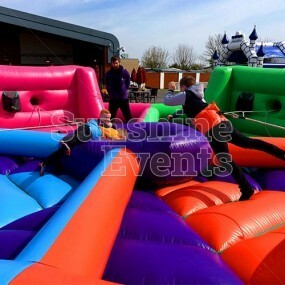 Once you reach the bottom of the Inflatable Slide, you’ll soon find yourself rushing back to the top for another chance to career down the slide on your bum… again and again! 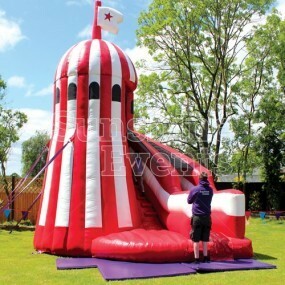 This massive inflatable is massive fun for everyone involved - time will surely fly by at your event as guests lose themselves in the cycle of climbing and sliding. 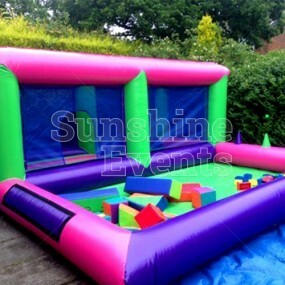 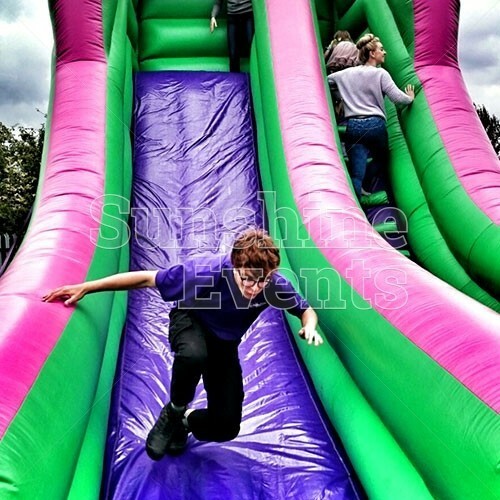 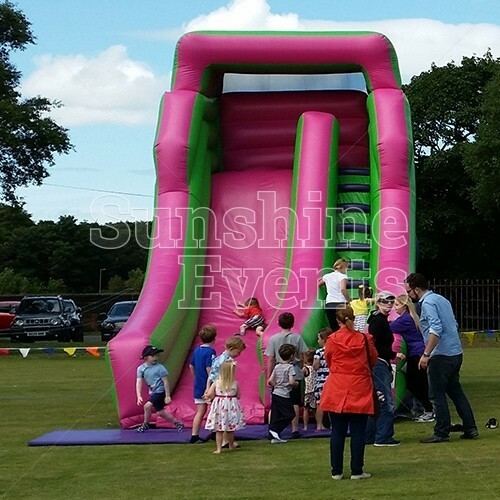 Due to its size, we always ensure that the Inflatable Slide Hire comes with a fun expert to ensure safe operation of the equipment and that there aren’t too many people stood at the top waiting to come down the slide. 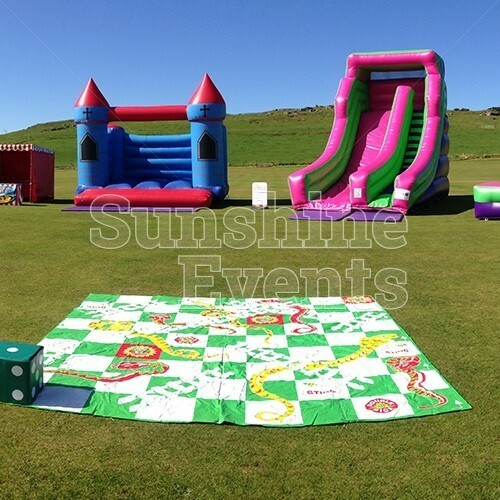 Safety is paramount to Sunshine Events and, more importantly, to your event. 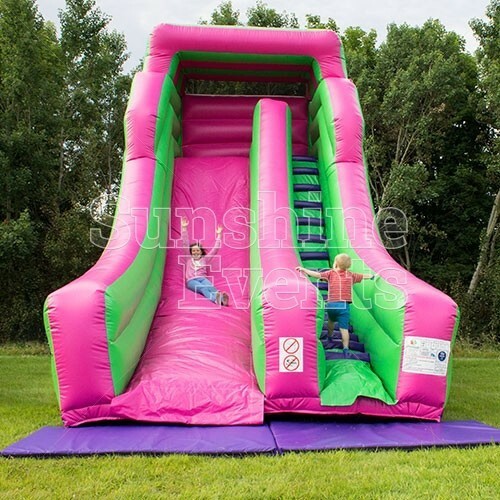 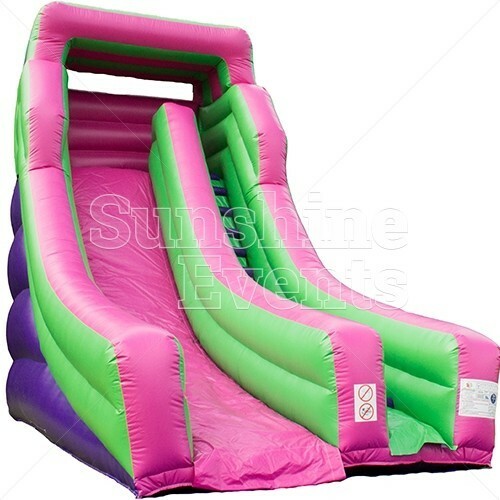 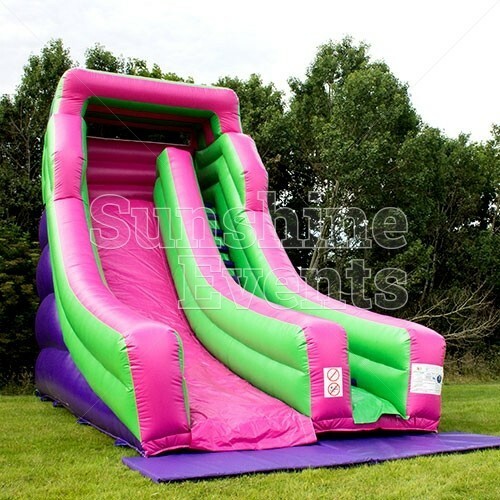 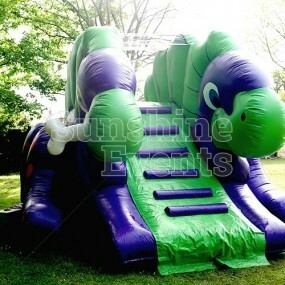 What events are the Inflatable Slide Hire suitable for? 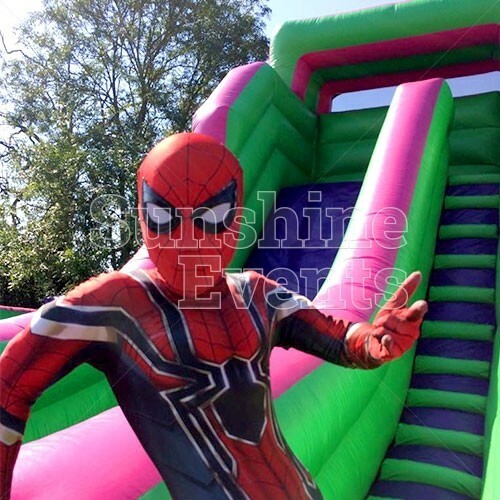 The Inflatable Slide Hire will make for a stunning sight at your event and you will find that even this most simple of inflatables can provide you with hours of fun! 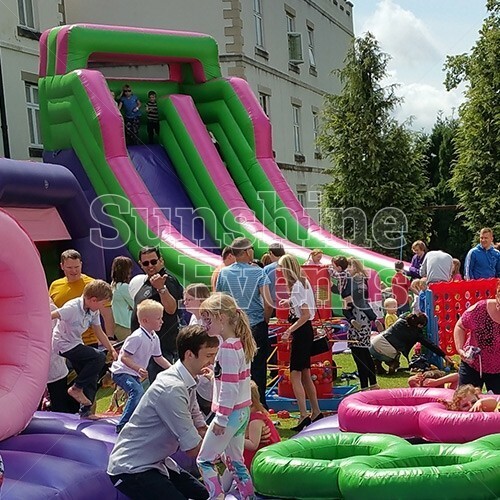 Slide your way to fun on the Inflatable Slide and you won’t have any doubts about this superb activity - in fact, you won’t able to stop yourself from having another go! 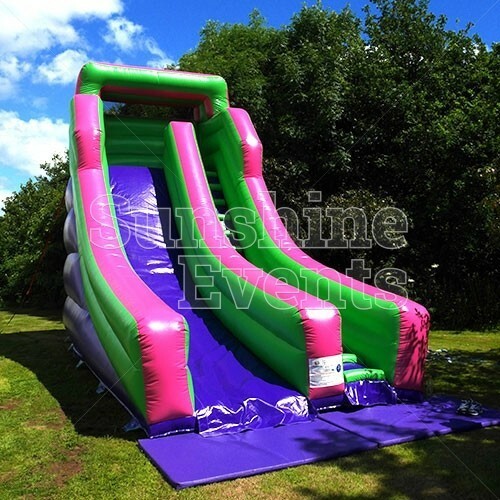 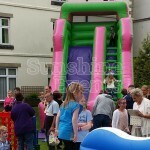 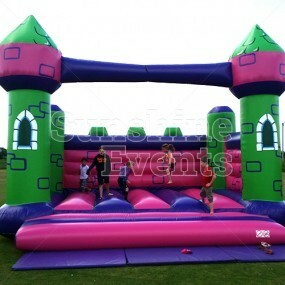 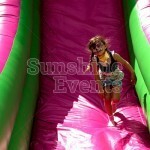 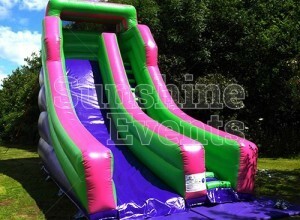 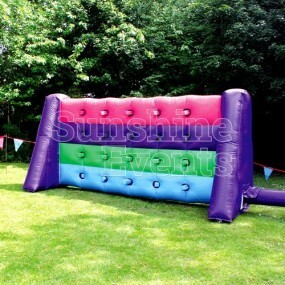 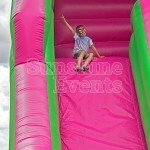 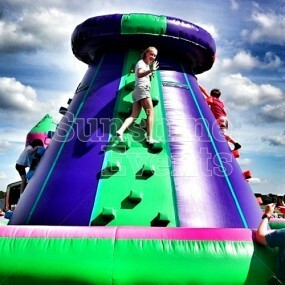 Inflatable Slide Hire has been added to your Event Quote.